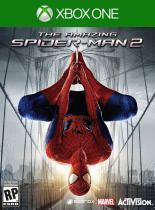 Play as Peter Parker: Play as Spider-Man's citizen alter-ego persona as you investigate the motivations of multifaceted villains. All-Star Villain Cast: Wide cast of Spider-Man universe and movie villains, each with their own unique boss battle encounters. All-New Web Arsenal: New web-swing mechanic includes expanded web-shooter capabilities and chemical properties that allow you to freeze and blow up items on impact.